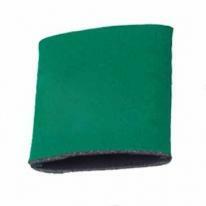 Lightweight foam Folds flat 6 colors available. Imprint Area: 3" W x 3-1/4"H per side (wrap around not available). Packaging: Standard Packaging is 250 per box. Weight: 250 pcs. - Ground Shipments - 7 lbs. Air Shipments - 15 lbs. Collapses to fit in pocket. Lightweight foam construction Effective foam insulation and minimizes external. condensation. Size : 3 3/4" h x 3 3/8" diameter. Standard Imprint Area : 2 3/4" h x 2 1/2" w. Packaging : Bulk. Shipping Weight : 100 / 12 lbs. 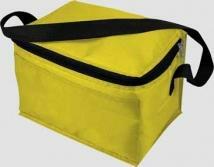 Material: Plastic Features: Standard size push/pull cap designed to hold freezer stick. The freezer stick fits the following bottles: Aquafina, Dasani, Adirondack, Clear American, Coca Cola, Mountain Dew and more! Polycarbonate bottles are top rack dishwasher safe. Imprint: 3/4"w x 1/2"h Product Size: 1"w x 8"h Additional Imprint Colors: (36)$0.80, (72)$0.75, (144)$0.70, (288)$0.65, (576)$0.60, (1008)$0.55. Pocket Can Holder With Digital 4c Process. Product Size: 4" x 5 1/2" Material Thickness: 3/16" Imprint Area: 3"H x 2 3/4" W Packaging Dimensions: 21"(L) X 16"(W) X 13"(H) Units Per Box: 500 Shipping Weight: 15 lbs. Free 2nd side imprint. 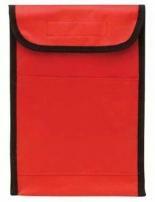 Cloth exteriro with felt-lined interior. Please Note: Metallic Gold imprint is not recommended. PMS color match not available. Actual Size (Flat): 5-1/8"h x 4"w Actual Size (Open): 4-1/8"h x 2-3/4" diameter. Imprint Area: 2-1/2"h x 3"w each side. 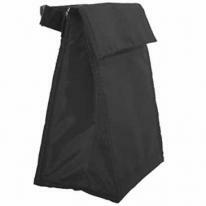 Packaging: Bulk Shipping Weight: 39 pounds per 600 Approx. Air shipments charged by dimensional weight. Shipping Quantity: 600. 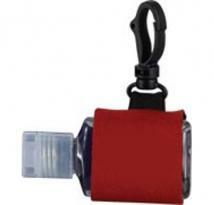 Mini Neoprene Bottle Sleeve with Standard Swivel Snap Hook. 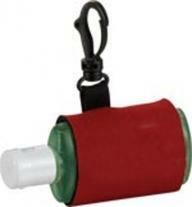 Size : 1 1/2" x 1 3/4"
Neoprene bottle sleeve. 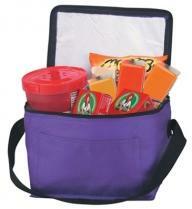 Size : 2 1/4" x 1 7/8"
This is a great summer item. It keeps your drink cold until the last sip and folds flat to fit in your pocket. Product Size: 4" x 5 1/2" Material Thickness: 3/16" Imprint Area: 3"H x 3 1/4" W. Packaging Dimensions: 21"(L) X 16"(W) X 13"(H) Units Per Box: 500 Shipping Weight: 15 lbs. 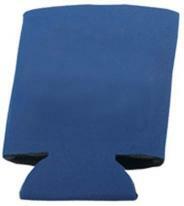 The no tear bind of the Summit Collapsible Koozie Can Kooler will help to make your next promotion a success! No tear binding. 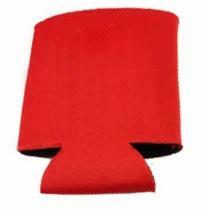 Materials: Polyester with foam backing. Size : 3-7/8"w x 5-1/4"h Imprint Area: 1 Side (Standard): 3"w x 2-1/2"h, 1 color(s) max |2nd Side (Standard): 3"w x 2-1/2"h, 1 color(s) max. Packaging: Bulk Pack Of: 100 Weight: 4 lbs. 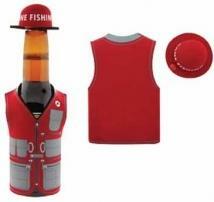 The beverage insulator that started it all. 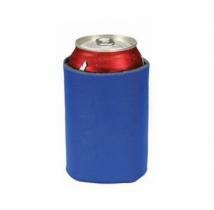 The Original Koozie Can Kooler maintains your beverage can at 40-degrees or below for 35 minutes, or three times longer than a can without a Koozie Can Kooler. 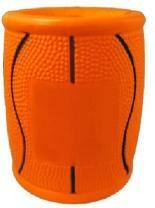 The beverage insulator that started it all. 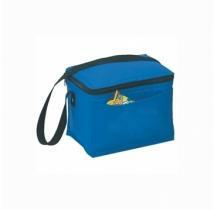 Maintains a beverage can temperature of 40 degrees or below for 35 minutes. Materials: PVC/nitrile Size : 3-3/8"w x 3-7/8"h Imprint Area: 1 Side (Standard): 4"w x 3"h, 1 color(s) max |2nd Side (Standard): 4"w x 3"h, 1 color(s) max |Wraparound (Optional): 9-1/4"w x 3"h, 1 color(s) max. Packaging: Bulk Pack Of: 105 Weight: 11 lbs. 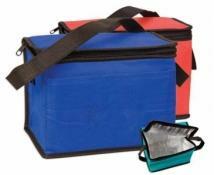 Collapsible Can Cooler. Heavy Duty Soft Vinyl. 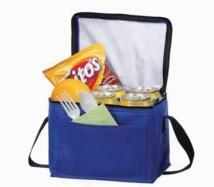 Can Cooler Folds Flat So You Can Take It With You! 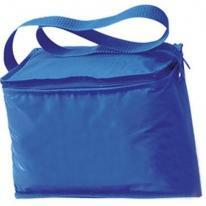 Size : 4" W x 5 1/4" H (folded flat) 4 1/2" HIGH with can inserted. 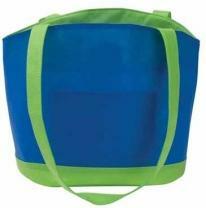 Imprint: 4" W x 5 1/4" H (folded flat) / 4 1/2" Weight: 28 lbs / 500 pcs Standard Packaging: Bulk. 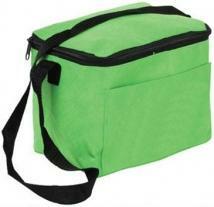 A classic Collapsible Koozie Can Cooler made with post consumer recycled material. 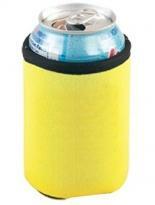 Collapsible Eco Koozie Can Kooler|Polyester with foam backing. Contains on average 35% post-consumer recycled foam. Material: Polyester jersey cloth with foam backing Size : 3-7/8"w x 5-1/4"h Imprint Area: 1 Side (Standard): 3"w x 2-1/2"h, 1 color(s) max |2nd Side (Standard): 3"w x 2-1/2"h, 1 color(s) max. Packaging: Bulk Pack Of: 100 Weight: 3 lbs. Take it with you! 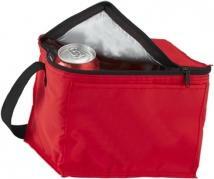 The Deluxe Collapsible Koozie Kooler folds so quickly, you can put it in your pocket, purse and more! Tough, light, leather-like exterior Perfect for ultra-fine detail. Material : Vinyl, sponge PVC Size : 3-7/8"w x 5-1/4"h Imprint Area: 2nd Side (Standard): 3"w x 2-1/2"h, 1 color(s) max |1 Side (Standard): 3"w x 2-1/2"h, 1 color(s) max. Packaging: Bulk Pack Of: 100 Weight: 5 lbs. 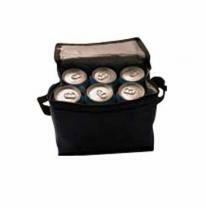 4mm High Density Foam Cooler 12oz Long Neck Bottle Insulated Cooler Secure Zipper Lock w/ Metal O-Ring Pull Perfect for Sports and Outdoor Events. Shipping: 100 pcs / 6 lbs Size: 6 1/2" H Imprint Area: 2 1/2" wide x 3 1/2" high (Non-Zipper Side) Additional Color: $0.25 Reorder Setup: $25 PMS Matching: $40. 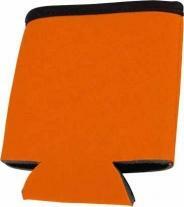 The Koozie Can Kooler just got Cooler! 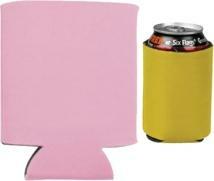 The Koozie Can Kooler displays your message with more meaning. 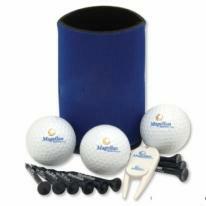 A stock design or your own background coupled with your message will make this promotional product a sure win! Maximize your ad space. Select a stock background or use your own design. Go to norwood.com to check out our library of stock graphics. Item Colors: Balloons, Baseball Bats, Beach Scene, Camo, Circuit Board, Cust Sup Art, Deer Silhouette, Dry Mud Texture, Fire, Football Field, Grass, Leaf Texture, Missing Piece, Party, Soccer Scene, Steel, Tire Thread, Water Texture, Wood Texture. 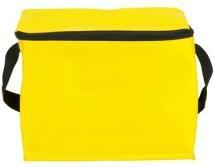 Materials: Polyester with foam backing Size : 3-3/4"w x 5"h Imprint Area: 2 Sides, 3-3/4"w x 5"h, 4 color(s) max. Packaging: Bulk Pack Of: 100 Weight: 3 lbs. 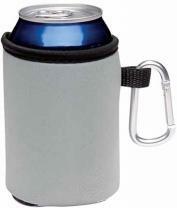 Our great selling Collapsible Koozie Can Kooler features no tear binding and a carabiner. 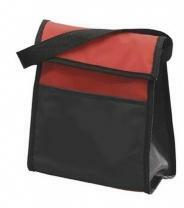 Polyester with foam backing and aluminum carabiner. No tear binding. Aluminum carabiner clip. 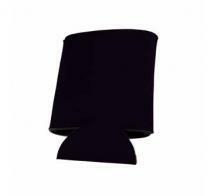 Material: Polyester jersey cloth with foam backing, aluminum. 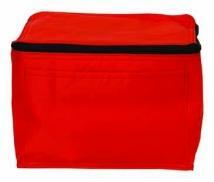 Size : 3-7/8"w x 5-1/4"h Imprint Area: 1 Side (Standard): 3"w x 2-1/2"h, 1 color(s) max. Packaging: Bulk Pack Of: 100 Weight: 4 lbs. 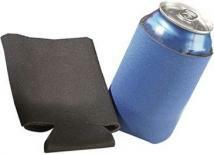 The Basic Collapsible Koozie Bottle Kooler is perfect for travel and mailings! Fits 16 oz. 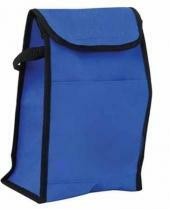 water bottles & longnecks Collapsible for easy storage Perfect for any budget Great for mailings and give-aways. Materials: Polyester with foam backing Size : 3-3/4"w x 7-1/2"h Imprint Area: 1 Side (Standard): 3"w x 4"h, 1 color(s) max |2nd Side (Standard): 3"w x 4"h, 1 color(s) max. Packaging: Bulk Pack Of: 50 Weight: 3 lbs. Take it with you! 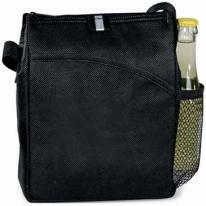 The Collapsible Zip-Up Bottle Koozie Kooler folds so quickly you can put it in your pocket, purse and more! Fits most 12 oz. longnecks Keeps drinks cold. Materials: Polyester with foam backing Size : 4"w x 7"h Imprint Area: Front (Standard): 2-1/2"w x 5"h, 1 color(s) max. Packaging: Bulk Pack Of: 50 Weight: 4 lbs. 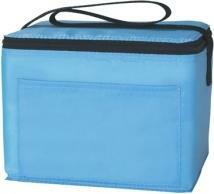 Be cool, keep cool and have a cold one with foam sport theme beverage coolers. Of course they keep your beverages warm on cold days too. Color Registration: Mis-registration up to 1/8" in any direction. Exact registration cannot be guaranteed. 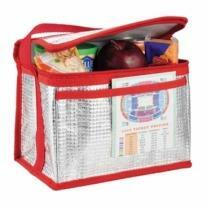 Size: 3 1/4" W x 1 1/2" H Imprint Area: Soccer: 1 5/8" W x 1" H Others: 1 1/2" W x 1 1/2" H Packaging: Packed in bulk. Styles : Tennis, Tire, Golf, Basketball, Soccer, Baseball, Football. 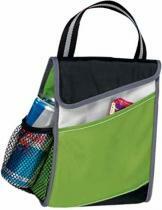 Collapsible bottle cooler with carabiner clip. Made of polyester and polyvinyl. 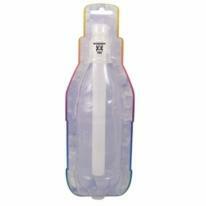 Water Bottle available separately for cooler & water bottle together. Bulk Packed. 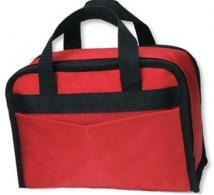 Size: 2 3/4" W x 6 1/4" H. Max Imprint Area: 3 1/4" W x 2 3/4" H. WT_100: 10 LBS. Paper-Proof: $10. (Required on all labels). 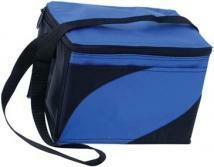 Lunch Pak Cooler. 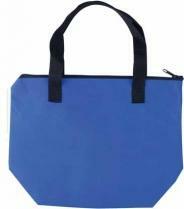 Size: 7" W x 8 1/4" H x 5" D. Imprint: 5 1/2" W x 4"H on pocket only Weight: 31 lbs / 100 Pcs Standard Packaging: Bulk. Foam sport can coolers keep your favorite beverage cool: (SCCSB) Soccer Balls, (SCCFB) Football, (SCCGB) Golf Ball, (SCCBK) Basketball, (SCCBB) Baseball. Note: Additional color available, call for pricing. 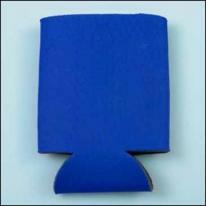 The Collapsible Koozie quality now available for 16 to 20 ounce beverages! Fits 16 to 20 oz. 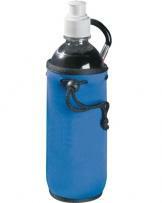 water bottles & long necks Aluminum carabiner clip No-tear binding. 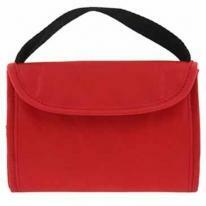 Materials: Polyester with foam backing Size : 3-3/4"w x 7-1/2"h Imprint Area: 1 Side (Standard): 3"w x 4"h, 1 color(s) max. Packaging: Bulk Pack Of: 50 Weight: 4 lbs. 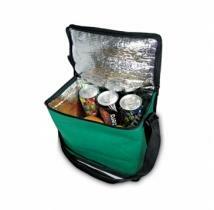 Traditional six pack insulated cooler. Front pocket. Made of 70 Denier Nylon. Bulk packed. 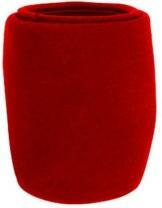 Size: 9" W x 7" H x 6" D. Max Imprint Area: 6" W x 3" H. Additional decoration methods available - call. WT_100: 33 LBS. Paper-Proof: $10. (Required on all labels). 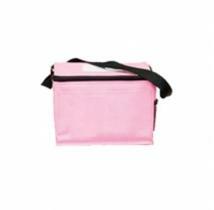 Deluxe High Quality Insulated 6 Pack Lunch Cooler High Density 70 Denier Water Resistant Nylon Heavy Duty Stitching /PVC Insulated Liner Extra Large Front Sleeve Pocket. Imprint Area : 6" wide x 3" high. 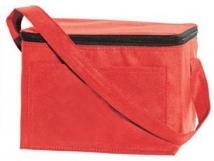 Bag Size : 8 1/2" W x 6" H x 6" Gusset. Qty / Master Carton : 100 pcs / 38 lbs. Additional Color : $0.25. Reorder Setup : $25. PMS Matching : $40. 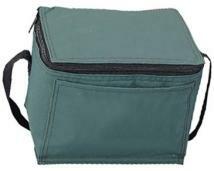 COLKEVPK contains Collapsible Kan Cooler, nine 2-3/4\" Golf Tees and Divot Ball Marker. Individually polybagged. Balls not included. 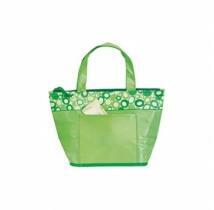 Price Includes:One color imprint on each item in the pack. Golf tees are blank. 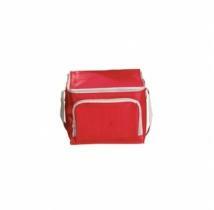 Imprint Area Collapsible Kan Cooler: 2-1/2\"h x 3\"w each side Divot Ball Marker: 1/2\" diameter ball marker and 2-1/8\" Golf Tees: 7/16H\" x 1\"w Packaging: Individually polybagged. Shipping Weight: 26 lbs per 72 pcs. 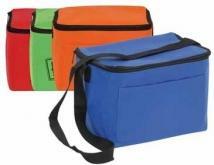 Portable billboards in 26 colors 50% recycled polyester 600D/PVC Zippered main compartment Front pocket Color-matched hardware 6-pack cooler with aluminum foil inside lining and foam padding for insulation 6"w x 4"h approx. imprint area 4? diameter max. embroidery area. 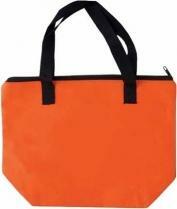 Sizes: 9"w x 7 1/2"h x 5"d The product is available in 26 colors, please call for pricing. 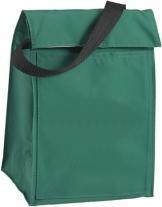 Deluxe High Quality Insulated 6 Pack Lunch Cooler High Density 600 Denier Waterproof Poly Oxford Heavy Duty Stitching /PVC Insulated Liner Convenient Side Mesh and Front Sleeve Pockets Name Tag Holder on Top / Adjustable Shoulder Straps. Imprint Area : 6" wide x 3" high. 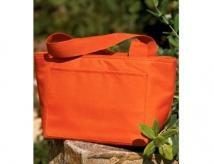 Bag Size : 8 1/2" W x 6" H x 6" Gusset. Qty / Master Carton : 50 pcs / 21 lbs. Additional Color : $0.25. Reorder Setup : $25. PMS Matching : $40. 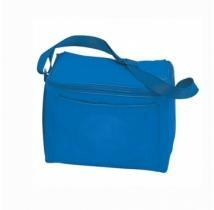 Made Of 210D Polyester With Adjustable Shoulder Strap Front Pocket Insulated. Note: Other decorating methods available, please call. Approximate Size: 8" W x 11" H x 5" D Imprint Area: 5" W x 5" H Packaging: 100 per carton @ 20 lbs. 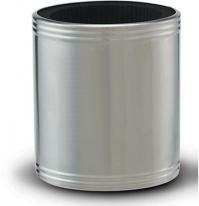 Insulated stainless steel can holder with non-slip base, Upscale design is ideal for recreation or home use. Size : 3-1/2"W x 4"H Imprint Area : 2-1/2"w x 2-1/2"h Side two : 2-1/2"w x 2-1/2"h Wrap : 10"w x 2-1/2"h Gift Bag : $ 0.75 Gift Box : $ 0.50 Additional Colors: (50)$0.60, (100)$0.45, (250)$0.40, (500)$0.35 Packaging : Poly Bag. Other decoration methods are available for this item, please call.